Food has the immense power of bringing people together. However simple or extravagant, whether with family, friends or acquaintances, the cooking and sharing of food are what all should do frequently. The varied recipes in this book, from Asian toWestern and those inspired by each other, are easy to follow yet produce impressive, mouth-watering dishes suitable for daily meals as well as parties big and small. In addition, I provide simple, practical principles of organising the preparation of ingredients and the cooking of dishes to make the processes in the kitchen stress free and enjoyable. Do delight in one of life’s greatest pleasures! Cook and feast! 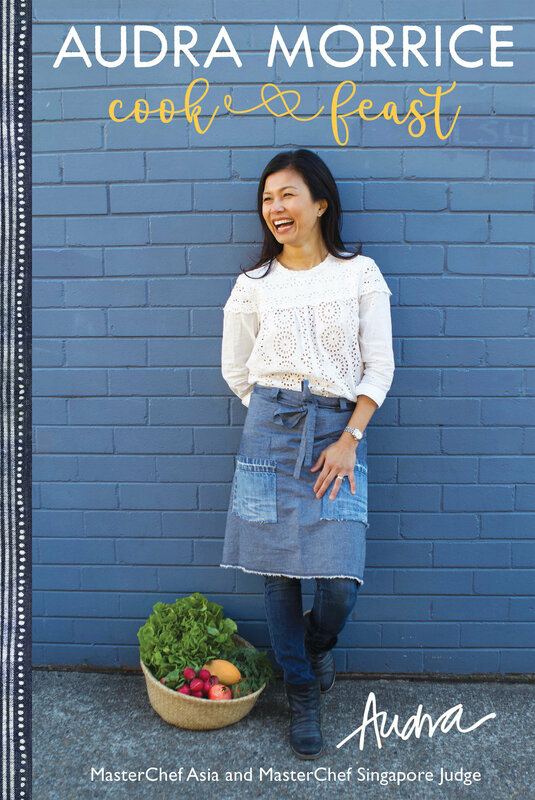 Cook & Feast is available at all leading bookstores in Singapore or email info@audramorrice.com.au.